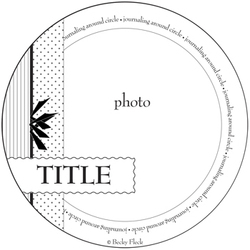 Becky Fleck has posted her January Page Maps and this time some Round Page Maps too. 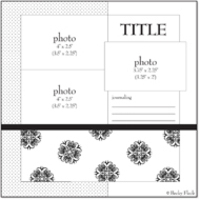 How fun, you could use them for a round album, or place the round page on a sheet of cardstock for your regular album. Sketches are a great way to start a page. They take away the pressure of what to do. Often your finished page looks nothing like the sketch, but it gets you started. Sometimes it will look almost exactly like the sketch and that is great too. If you find a sketch you love, use it again and again. I'd love to see your layout from a sketch. Email me at michele@pephotos.ca if you'd like to share. 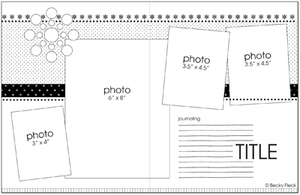 Becky Fleck has posted new Nov Page Maps on her site. These are great sketches to help you get pages done without the stress of deciding what to do. She has given me permission to share these with you. Use the sketches as is, or as a foundation to start and do your own thing with. I love this one and will be scraplifing it very soon! 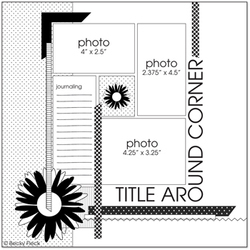 She also has a set of mini maps posted for 8x8 and 9x9 layouts. This set is great for making up a theme album. You could do one of these for everyone on your Christmas list very easily! There are lots of resources available to you, to help you spend time recording your story as opposed to stressing out over how to layout a page. Take advantage of the many websites, galleries, idea books and spend time creating not stressing! Kate just sent me this Dove Ad. Very powerful message about how the perception of beauty gets distorted. Show to your daughters and your friends. Edited: Gloria sent me the link to the Dove Real Beauty Workshop for Girls . There is one in Vancouver Nov 25th in the morning, for girls ages 8-12 and their mentors (moms, aunts, sisters, friends). It is all about self esteem and having a healthy body image - so important in this day and age. I am constantly instilling in my daughters these facts and I think it will be great to go and hear someone else talking about this and see other girls their age and talk to them. I am lucky so far in that all of my daughters are very confident young ladies and I want to continue to support that. If you are going, let me know and we can meet up. Scrapbook And Cards Today is in! This is a great Canadian Magazine available as a free download and you can also stop in for a visit to PE and pick up a physical copy (it's gorgeous!) absolutely FREE! Yup, you read it right FREE! Make sure to check out the bottom layout on page 66. Our very own Carol Krawchuk had her first layout published. I'm sure it won't be her last. The new Reminisce paper/sticker lines at PE are so great. We ordered all of their new releases. This is a fabulous company that knows how to do themes for scrappers. It is run by a husband and wife team, Matt and Andria. They also run a retail scrapbook store - so they get what you want. I first met Andria years ago, when I went to the EK Success training facility in New Jersery and she was my seat mate as we were trained in the SDU (Scrapbook Design and You ) program. So nice to see their companies doing so well. Click on the gallery link to see more. Stop in soon to get your free copy (I'll post here when they arrive) as they won't last long! and projects such as these cute cupcake flowers by Jackie Stier. Each idea has full instructions and the products used to make it. You can print off the supply list and come in to PE (as an EK Elite Dealer we have a huge selection of EK products) where we can help you find the products you need to complete the projects. Take a few minutes and find some inspiration from this great website. Remember, you don't have to do exactly what is shown, you can also take the "idea" and tweak it to fit your supplies or theme. I know the next time my girls have to bring treats to school, there will be some version of the cupcake flowers up top, and the Christmas gift bag makes a great "Just because" present, filled with homemade cookies. 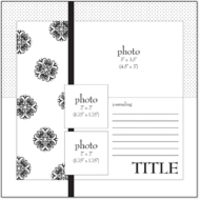 Scrapbook Adhesives by 3L offers a complete line of archival adhesives for all your scrapbooking needs. Their website has a great chart on the different adhesives they have and what they are good for. Click here to see it. And they also have a chart that is visual to help you decide which adhesive best suits your project. Of course you can also come into PE and we can help you choose the right adhesive. Adhesives are part of our Back to Basics Back to School Sale sale so come in now to stock up. The sale ends tomorrow (thurs). 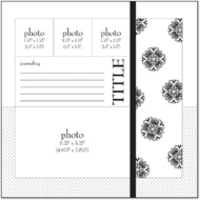 Their website also has a good glossary of scrapbook terms that you may come across. Scrapbook Adhesives by 3L has also developed a line of "pink" adhesives to support breast cancer. They will donate 10% of every pink packaged product they sell as well as $10,000 annually to the National Breast Cancer Foundation. I love these adhesives and will definitely be picking up some pink ones! What a great purchase - you get great adhesives and support Breast Cancer research at the same time. 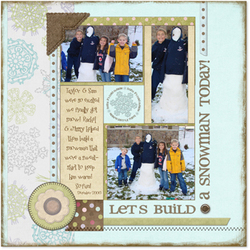 Here is a cute layout done by Denise B. Great job Denise. Many of you have mentioned that you love the sketches and are using them to help create great pages without stressing over the actual design. Email your layouts to me at michele@pephotos.ca. I'd love to see them. Here is a sketch that will make a great super quick layout. 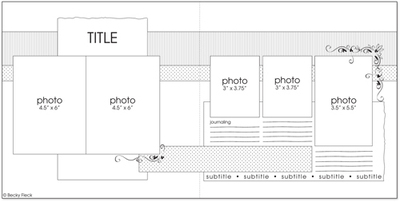 I challenge you to create a layout with this sketch this week and email it to me to see at michele@pephotos.ca. I'd love to see the variations you come up with and we might be able to post some of them to our gallery. This sketch is from Becky Fleck's September Page Maps. She has great sketch ideas to help you create layouts instead of sitting and trying to come up with an idea. Scrapbook Cards and Trends is the fantastic new Canadian magazine that is downloadable for FREE and available for Free with purchase at select retailers (you can find it at PE). You will find lots of great ideas and articles in it, so make sure to get a copy. I was emailing with the owner today, and she would love to have more Canadians submit projects and layouts (80% of their submissions are not Canadian). She knows there is lots of talent in Canada and I said we had lots out here! So submit some of your projects, cards, layouts, ideas, etc to Scrapbook Cards and Trends. They are especially on the lookout for winter/holiday themed designs. You can find submission information here. It is smokin' hot here!! Of course when I am in Chicago, they decide to have a heat wave! Now normally it is hot here, but today it was 102!!!!! And that isn't taking into account the 100% humidity factor which makes the heat index 110 they tell me! Do you know how hot that is? Thank goodness almost everywhere you go has air conditioning because when you step outside, it feels like you need to take a shower after about 2 minutes because you are so sweaty. I took a picture of the heat thingy in our van today to show you I'm not kidding. We had a great day at American Girl Place (I'll post photos of that in a few minutes). It is quite the experience. If you haven't tried our online photofinishing, you really want to give it a try. Every few nights since we've been away, I have downloaded our photos into my computer, put them through our software and ordered prints. This frees up my digital card and also means that when I get home, I won't have 1000's of photos to download and get printed. They will be ready and waiting for me :) You can come into PE and pick up a FREE copy of the software, or we can even mail it to you. (Let us know at pestaff@telus.net that you would like a free copy of the online software.) If you can't make it in to the store and can't wait for a disk, there is also a fotowire version on our website that you can download and use right away. It is so convenient to order prints from the comfort of your home (or your vacation!) and have super quality prints ready for you at Photo Express. There really and truly is a difference in the quality of our prints and 99% of the other places you can get prints developed. Try us and you won't be disappointed. We can also mail your prints anywhere in Canada for a flat $5 fee. 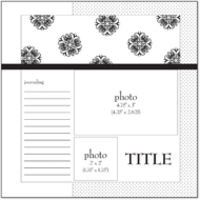 And you can print scrapbook sized prints also (6x6, 8x8, 12x12). For many of you, this coming week is the last week of school! I know many of you dread what you will do with your children, but I have to admit...I love summer vacation and having my girls home more and the less hectic schedule. We will be running a few kids classes at PE and a fabulous Kids album class. It is overwhelming if you think about having to scrapbook the entire school year of each of your children. 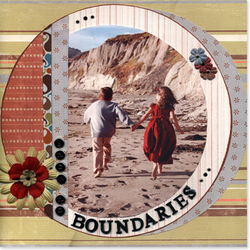 Instead, take a cue from Stacy Julian's Book Big Picture Scrapbooking . She has a school album for each of her children and it has 4 pages for each year. One for a class photo, one for an individual photo (and signature) and a pocket to hold report cards and such, and 2 for various photo highlights of the year. Quick, easy, done. To make it even easier next year, start a file in September for each child. In that file put anything you think you might want to include for that year in their album - a special drawing (you can bring it in to PE and we can reduce it on our laser copier), class photo, individual photo, various photos of activities, report cards, ribbons...anything special for that year. At the end of the year, sort through it, create your 4 pages (I must admit I need 6) and store the rest in a safe manner or recycle it. Fast, fun and easy.